Short on down payment to finance your property in Dubai? Since the implementation of the UAE Central Bank’s mortgage cap in 2013, buying a property has become harder. The mortgage cap required buyers to put down larger deposits against new purchases. This has had a big impact on first time buyers but as expected had a minimal or negligible impact for most affluent or high net worth individuals. In the UAE, the maximum loan to value (LTV) for expatriates is 75 per cent, providing it is a first mortgage and the property is valued under Dh5 million. For purchases higher than Dh5 million, the LTV reduces to 65 per cent and 60 per cent for all subsequent purchases. Therefore, a first time buyer has to find 25 per cent down payment plus an estimated percent of the value of the property to cover all fees for the transaction; a tough amount to swallow for many prospective buyers. So, what can you do when you need to come up with funds to complete your purchase? An excellent way of making your assets work harder for you is to have property you own locally or internationally with little or no mortgage refinanced to release cash to fund your down payment. For example, if you have a property in the US, which is tenanted, while you are working overseas, you can secure a USD or AED mortgage up to 75 per cent of the value of the property and repatriate the funds to the UAE to use as deposit. 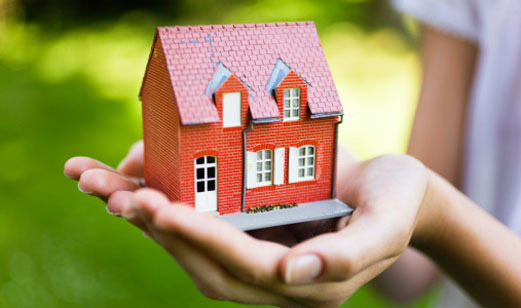 An additional UAE mortgage can then be taken against the new purchase, which is then funded by both mortgages. This is acceptable, subject to the buyer’s affordability. Always make sure to check with your bank or mortgage consultant before taking this route as you need to be mindful that some UAE banks and lenders will not accept equity released funds from an existing property as down payment. These banks have interpreted the UAE Central Bank mortgage regulations differently to others. Private banking arrangements is a strategy used by high net worth clientele to finance property. Many expats choose to maintain wealth offshore in financial services jurisdictions, such as Switzerland or the Channel Islands. While interest rates remain low, it can be beneficial to borrow against a portfolio of stocks and shares or bonds, which offer the potential to outperform the cost of borrowing. For example, a conservative investment portfolio may offer modest returns of five to six per cent per annum, while borrowing costs are below two per cent. The regulations for the above are clear: Neither borrowers nor banks should engage in the provision or acceptance of personal loans to be used as down payment. The reason for this is that it is very different to borrowing against a property (collateral). Personal loans are unsecured debt and if they are used for a loan, there is no security or collateral at stake that will ensure that the loan is repaid. Personal loan repayments are restricted to a maximum term of 48 months in the UAE, so the monthly repayments are much higher over the shorter period than borrowing the same amount over the term of a 25-year mortgage. Consequently, greater risk and shorter repayment periods mean that personal loans attract higher interest rates. They are not transparent and the actual interest paid over the term is much higher than interest calculated on a reducing balance basis. Although personal loans are not allowed to be used as down payments, they can be used to pay the estimated seven per cent transaction or purchase costs. In Dubai, the costs for buying a freehold property are: two per cent real estate broker fee, four per cent Dubai Land Department transfer fee, 0.25 per cent mortgage registration fee, Dh4,000 registration trustee office and bank fees, which vary from bank to bank. These can be financed via personal loan, providing the buyer is eligible and has the down payment from saving. In summary, there are likely to be different avenues available to get extra money to be able to finance your dream purchase but always follow the simple rule of thumb – only invest in and purchase a property that is affordable.